The February 2-3, 2016 snowstorm was the fifth largest February snowfall on record in the Twin Cities. The Twin Cities International Airport reported 9.4 inches of snow. A long-forecasted snowstorm arrived and dumped up to a foot of snow across southern and east central Minnesota on February 2-3, 2016. The storm began over southern California at the end of January, moved to Arizona by February 1, and was situated over Kansas by Groundhog Day. 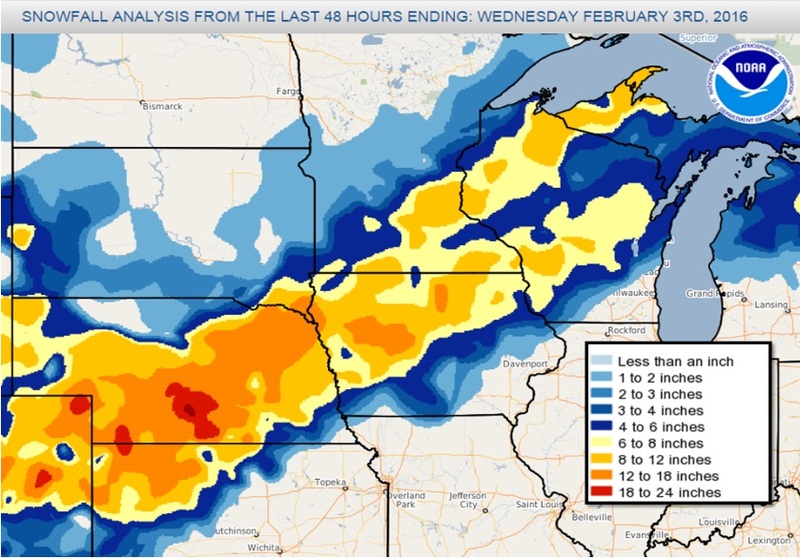 A large area of moderate to heavy snow marched northward through southern Minnesota during the morning hours of February 2, reaching the Twin Cities by lunchtime. By the evening rush hour, four to six inches were on the ground in the Twin Cities, and the snow was falling at a rate of about an inch per hour. The highest two-day storm total reported was 13.5 inches in Bloomington in Hennepin County. 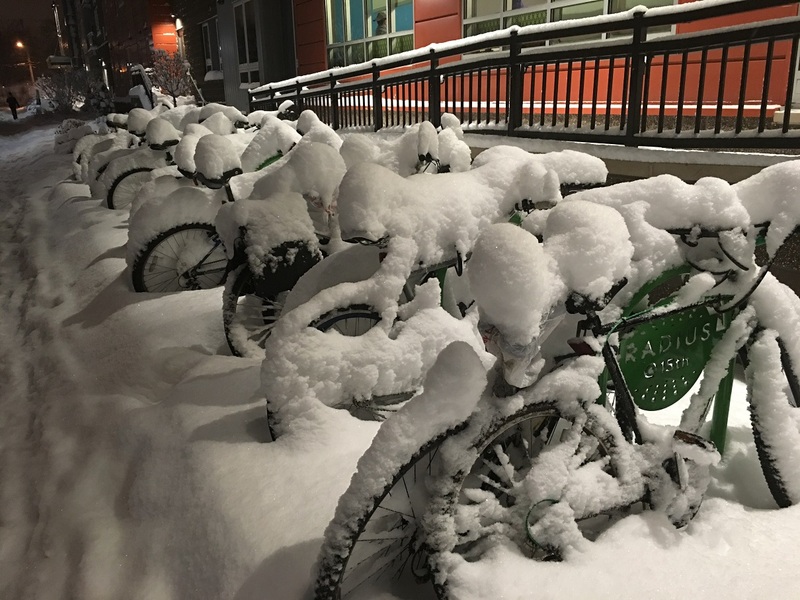 Many places in the Twin Cities metro area saw eight to twelve inches of snow, with amounts lighter north of the Twin Cities. St. Cloud only saw 2.2 inches. Winter Storm Warnings were in effect on February 2nd to the early hours of February 3rd, with Blizzard Warnings across south central and southwest Minnesota. Roads were closed for a time in southwest Minnesota, including I-90 west of Albert Lea. Afternoon and evening activities were cancelled for many schools on Feb. 2, but most schools were in session across the Twin Cities on the 3rd. Traffic was impacted for the evening rush hour on February 2, with many minor crashes and spin-outs reported across central and southern Minnesota. Flights were delayed at the Twin Cities International Airport. The snow was light and fluffy, and for the most part was easy to move. Bright sunshine followed the snow by mid-morning onf the 3rd, displaying a winter wonderland. The 9.4 inches measured at the Twin Cities International Airport was the fifth largest February snowstorm total on record for the Twin Cities. The largest snowstorm total on record for the Twin Cities during February was 13.8 inches on February 20-21, 2011. EQUIPMENT AND EXPOSURE. NOT ALL DATA LISTED ARE CONSIDERED OFFICIAL.